This post is written by Luke Cafferty. Luke is a fitness junkie, personal trainer, and blogger. He’s passionate about living a healthy lifestyle and maintaining a strong and well-rounded physique. Check out more of his work at Strength Authority or follow him on Facebook and Twitter. There is a reason that the squat is commonly referred to as the king of all exercises in both powerlifting and bodybuilding circles. It is a fantastic exercise that absolutely crushes muscles of the posterior chain (AKA Glutes, hamstrings, and spinal erectors), the quads, and the upper back. This makes it a fantastic exercise that can build a heap of muscle mass and huge amount of lower body strength. Additionally, nothing looks better than loading up 3 plates per side and hitting some nice, deep squat reps. 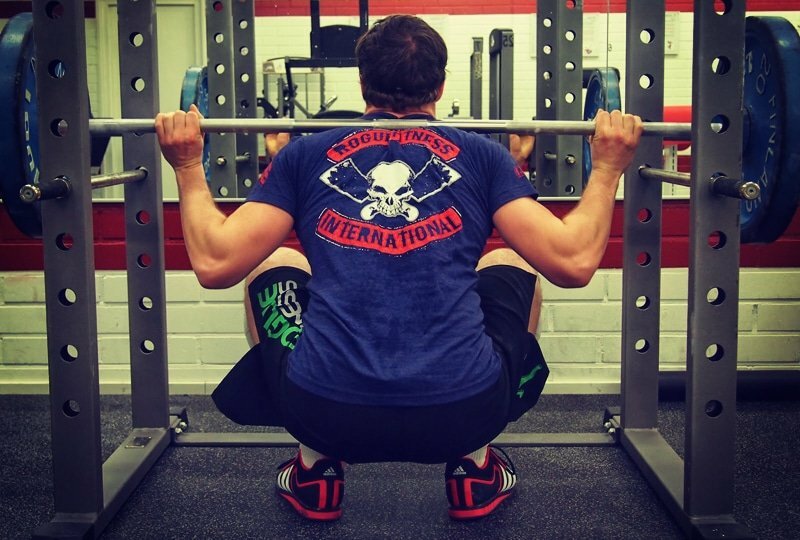 But what if your squat strength has stalled? Not only can this make it difficult to increase strength, it can also limit your capacity to build muscle tissue. Fortunately, there is a number of assistance exercises that, when utilized effectively, can help you burst through your training plateau and get some serious increases in squat strength. While this may seem like a bit of a no-brainer, you would be amazed at how little people actually use paused squats in their training. A paused squat is ultimately just a squat where you stop completely at the bottom of the squat for 2-3 seconds each rep. This can be beneficial for a number of reason, and if we think about it logically, it does make sense. Most people tend to fail a squat in the hole (at the bottom position) of the squat, as such this suggests that it is this position where they are weakest. By spending more time in this position, firstly we get more comfortable being in this position, and secondly, we actually build strength in this position. By pausing we create an isometric contraction. This creates an increased demand in this position, which directly increases strength in that position. By increasing our strength coming out of the hole, we effectively strengthen our weakest link, which improves squat strength significantly. Now this one may sound a little left field, but bear with me for a second. Split squats (and their many variations) are a fantastic tool to build single leg strength and hypertrophy. By building strength through single leg exercise variations, we can iron out any asymmetrical strength differences that we may have. By eliminating these differences, we can eliminate any asymmetries in our squat technique, which can improve our form and increase our squat strength. As a bonus, split squats also create a HUGE demand on the stabilizers of the hip. 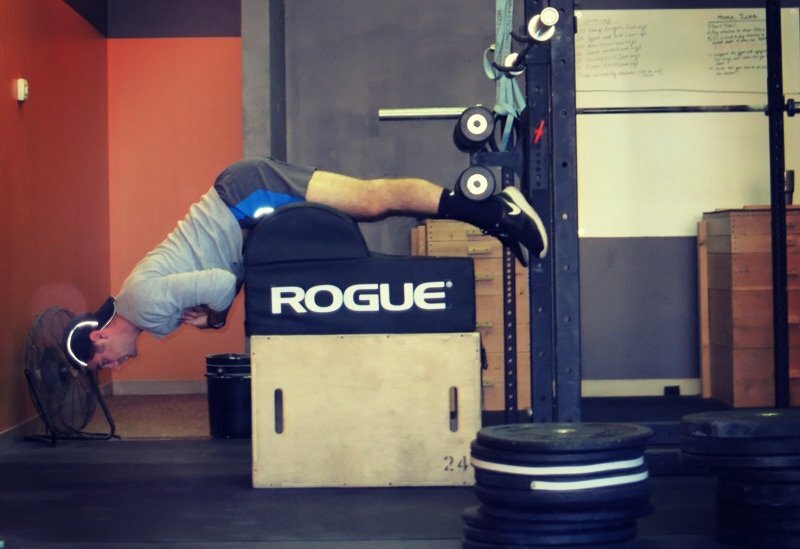 By improving both the function and strength of these stabilizers, we can improve our hip stability, and subsequently, our ability to produce force. This can lead to massive increases in squat strength, particularly if you rarely perform single leg exercises. Barbell hip thrusts have become increasingly popular in recent times due to their ability to build posterior chain strength, improve glute activation, and increase lower body muscle mass. What a lot of people may not know is that barbell hip thrusts can also cause massive improvements in squat strength. Firstly, hip thrusts absolutely crush the glutes. The glutes are prime movers that produce hip extension, which is key when coming out of the bottom position of the squat. By increasing glute strength, we increase our ability to come out of the hole with force, which in turn increases our squat strength. Secondly, hip thrusts also place a huge isometric demand on the quads. By increasing quad strength, we can significantly improve our squat strength in all positions. Glute ham raises are well renowned for their ability to smoke the hamstrings and glutes (hence the name ‘glute ham raise’ I guess). The hamstrings and glutes play a key role in producing hip extension force – yep, the same hip extension force required when we perform a squat. By improving hamstring and glute strength we can directly improve our squat performance through an increased hip extension strength. Now, while box jumps may not seem like an obvious choice, they can play a key role in improving squat performance. You see, when we squat regularly, we often work with heavy loads to improve our maximal strength capacity. What is often forgotten is our ability to produce force rapidly –AKA power. While box jumps do not improve our maximal force production, they do improve our muscle power (the ability to produce force rapidly). By improving our muscular power we can increase the speed at which come up from the bottom of a squat, which makes it a heap easier to overcome our sticking points. This can lead to a significant improvement in squat strength. Unfortunately machine based exercises often get a pretty bad rap among powerlifters and other strength athletes, because they are not ‘functional’ (whatever that means anyway). What these people often forget to realize is that strength is directly proportional to muscle mass, so the more muscle mass we have, the greater our potential to produce force becomes. 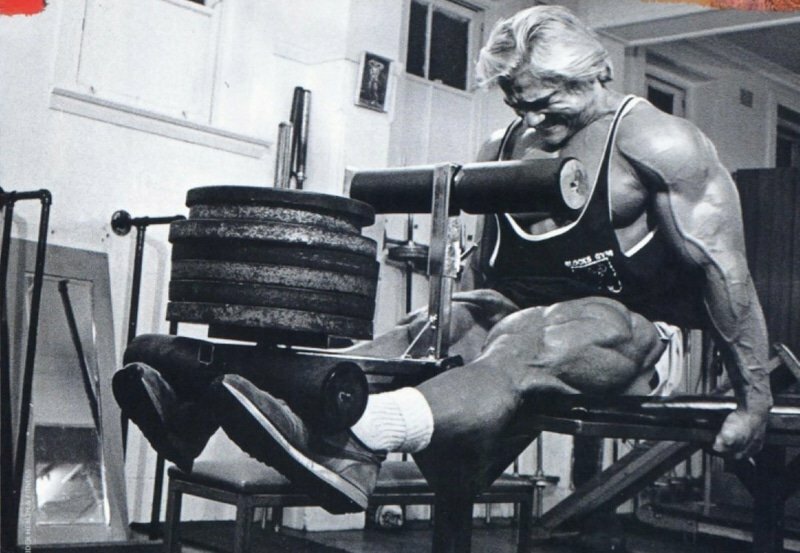 And do you know what isolation exercise can build a whole lot of quad mass? You guessed it, the knee extension. By isolating the quadriceps muscle, the knee extension is a fantastic tool to increase the size of our quadriceps muscle. And remember, the quads are one of the key muscle groups that drive the squat movement. As such, this increase in mass can lead to a serious increase in squat strength. So we have a heap of exercises that can contribute to squat strength, now it is time to put it all together. I would use the following days with a 4 day split where two days are focused on upper body, and the other two are focused on the lower body (with an emphasis on increasing your squat strength). I would be inclined to run this program for four to six weeks as a way to bust through your plateau and cause some serious increases in squat strength! Do you know how one can improve his flexibility for the squat? I find it difficult to be able to go slightly below parallel (crease of the hip below knee joint). Next time you’re in the gym or around something sturdy mounted like a power rack, hold onto the rack and drop straight down into the lowest squat you can. Slowly rock around and work on opening those hips up. If you are having a hard time with getting low I would suggest working with foot width and how you point them. Without a video I can’t really give a good diagnosis. 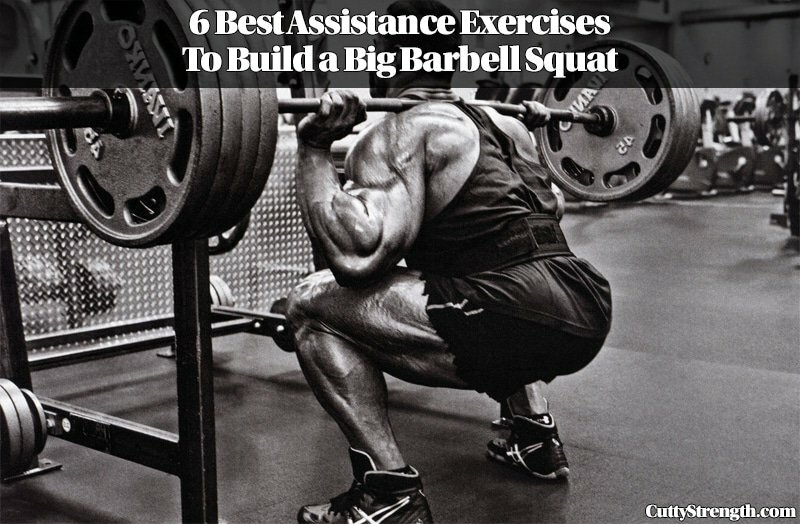 Check out this build a bigger squat post for some more tips.